Oppo is set to launch the first Reno device today in China. The global launch event for the device will reportedly take place on April 24 in Zurich. The device is expected to launch in two variants- the Standard Edition and the 10x Zoom Edition. Oppo Reno 10X Zoom employs the 10x lossless zoom capability that the company showcased at the MWC (Mobile World Congress) 2019 in February. 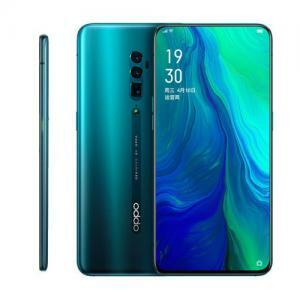 Oppo has already revealed some of the specifications of the device, and it has been posting teasers about the speed and zooming capability of the phone for a while now. As per the Google translation of the webpage, the phone will be up for sale on the same day at 6:00 pm CST (4:30 pm IST) and for those who have booked it in advance will be able to make a purchase at 4:30 pm CST (3:00 pm IST). While the Oppo Reno 10X Zoom Edition has been confirmed to run on the Qualcomm Snapdragon 855 processor by the company VP, the Standard Edition of the device is expected to run on the Snapdragon 710 processor. Some earlier reports have suggested that Snapdragon 710 powered Reno device will be called Reno Lite.